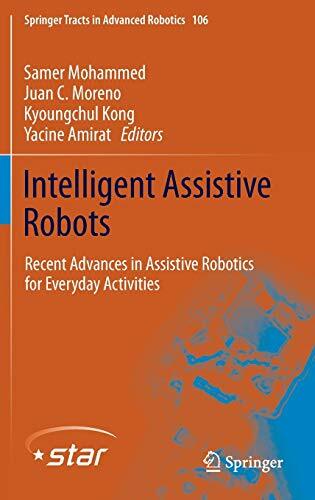 [PDF] Intelligent Assistive Robots: Recent Advances in Assistive Robotics for Everyday Activities (Springer Tracts in Advanced Robotics) | Free eBooks Download - EBOOKEE! Description: This book deals with the growing challenges of using assistive robots in our everyday activities along with providing intelligent assistive services. The presented applications concern mainly healthcare and wellness such as helping elderly people, assisting dependent persons, habitat monitoring in smart environments, well-being, security, etc. These applications reveal also new challenges regarding control theory, mechanical design, mechatronics, portability, acceptability, scalability, security, etc. No comments for "[PDF] Intelligent Assistive Robots: Recent Advances in Assistive Robotics for Everyday Activities (Springer Tracts in Advanced Robotics)".